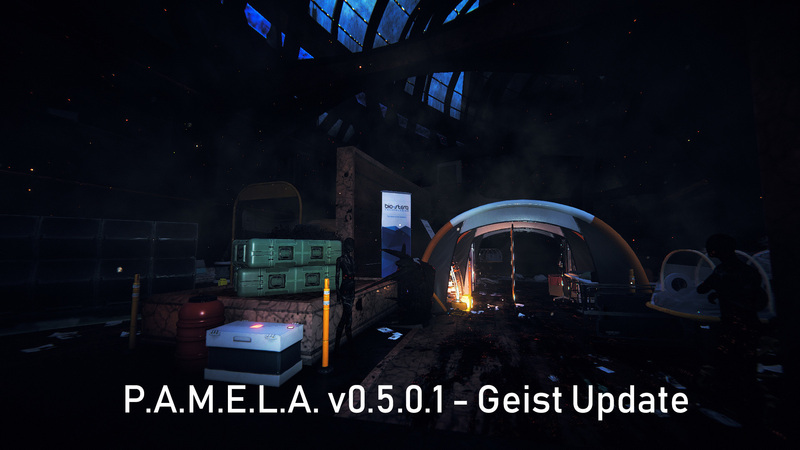 Update: PAMELA v0.4.5.6 is Live! This week’s update adds some much needed love to our poor NPCs. On top of our standard bug fixing Part 1 of our NPC update includes a much higher range of NPC diversity, new death ragdoll effects, and the (very) much requested ability for turrets to be able to target Stalkers. Wait, you said Part 1? You haven’t said anything about a Part 2. 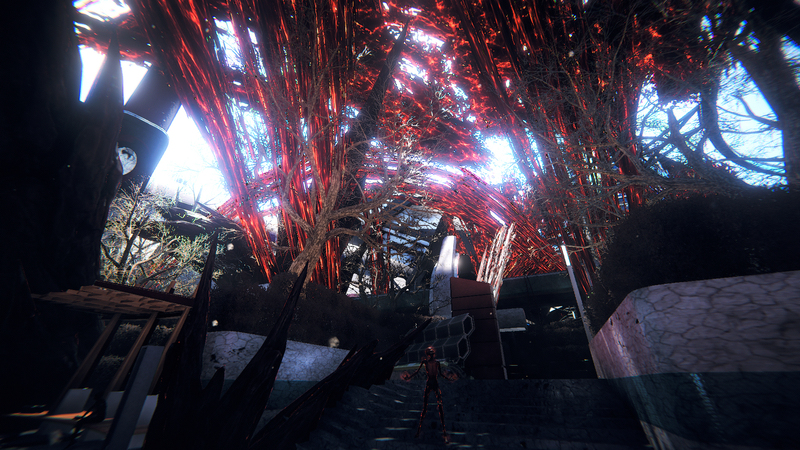 • NPC Randomization - We have added new variants to the randomization pool of many NPCs and smoothed out the logic for a much more interesting (and creepy) population of Eden. • NPC Ragdoll on Death - NPC death animations were proving “problematic” with changes in elevation and world geometry. But thanks to the power of physics and joints NPCs will now bounce, crumple and fall in all sorts of weird and wonderful ways. If you want to push the higher limits, look for items that increase Force. • Turrets are now able to target Stalkers once they are visible. • Sprint stamina costs have been reduced and speed has been increased. • Added sound effects for the medical station and augment station. • Added sound effects for Surgical Laser charge, activate and deactivate. • Lowered Observer threat level (so Afflicted won't stare at the blinking floating ball while you punch them in the back of the head). • Bumped up the running speed for Afflicted and Widow, as well as overall Reaper move speed. • Added a slight slowdown effect to player melee attacks when they connect to make them feel more impactful. • Fixed an issue with our animation blending causing phantom hits when the NPC was clearly doing something else. • Added a collider that was missing from a wall in Garrison Armory. • Fixed an issue where the wounded effect and sound didn’t apply after continuing the game from main menu. OK, that’s it for me for now, but I’ll be back soon. Thanks everybody, and as always, let us know your thoughts in the comments and forums! Today we have a pretty exciting update that includes a number of exciting improvements as well as a big new feature! We've added ranged weapons to both the Seekers as well as Stage 1 afflicted which should definitely change up combat quite a bit. We've also made the player motor feel more responsive and a little bit faster, especially when walking sideways and backwards. You will also notice that punching has been sped up significantly. All of this put together is a big improvement on combat, and you'll be seeing quite a bit more of this in the next update or two. To give you a little taste of what's to come in the next update, we're currently tweaking weapons to be more common, spawn with random durability, random upgrade nodes already slotted as well as a larger difference between a non-upgraded and a fully upgraded weapon. We'll also be improving the new ranged NPCs, so please comment about any feedback you may have about them! Other than all of that, there are some nice fixes which you can read about below! • Added ranged weapons on Stage 1 Afflicted and the Seeker. • Made punching faster and more responsive. • Made the player movement more responsive. • Changes were made how NPCs choose a new target, they shouldn't bounce back and forth between targets anymore. • Quick melee feels more consistent, your fists will stay raised. 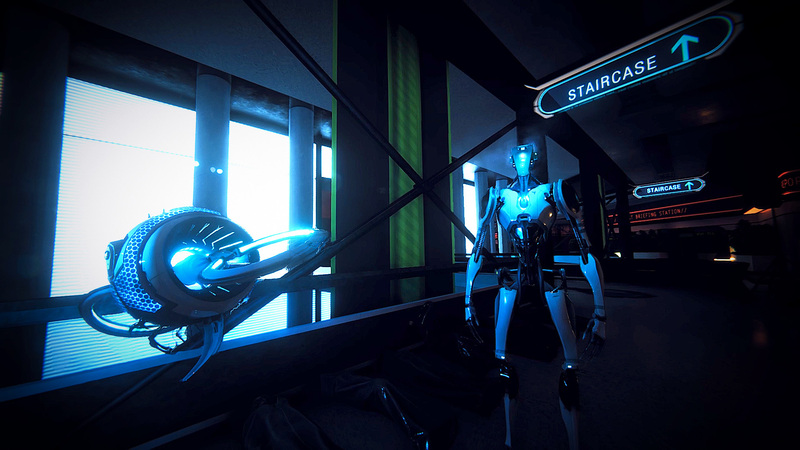 • Fixed NPC gravity so that they no longer hover when coming down the stairs or falling off a ledge. • Fixed a bug where stomping could cause the player's fists to stay raised forever. • Removed a few NPC door triggers that shouldn't have been there in Arcadia. • Loot now clears off corpses correctly. Today we are very excited to release our long-awaited Geist update. We've been working on this one for quite a while now and there's a lot to cover, so let's dive in! We have a large new area what was previously unreachable, the contaminated nanite area on the other side of the red glowing fence in Oasis. You won't be able to get there right away without being injured, you'll have find some new items to craft the new Hazmat suit. The new area is full of never before seen dangers, low visibility and new challenges. This isn't for the feint of heart. There are two new enemies that you'll encounter, the Shade and the Revenant. 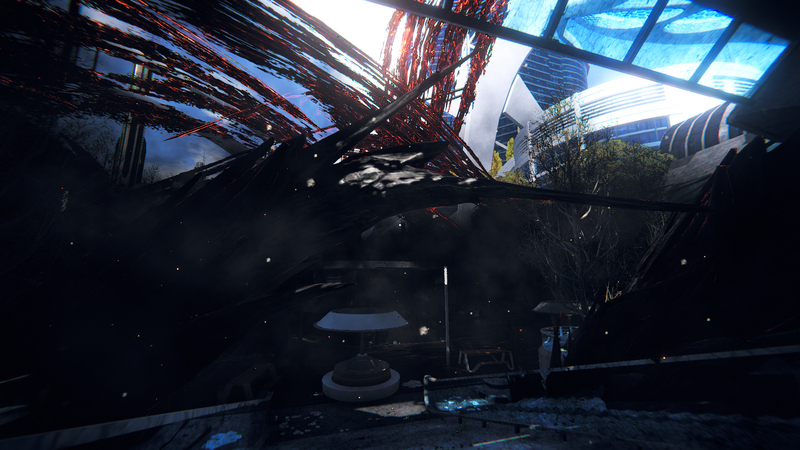 Both were once human, but due to the extreme concentration of nanites in the area, are now only husks of their former selves. You'll have to figure out what their weaknesses are before engaging a group of these! The Shade is the more common of the Geist creatures, keep your eyes and ears open as they fade from cloud form back to physical in the blink of an eye. The Revenant is a powerful new flying creature that has control of the nanites around him. He can materialize Shades around him and cast destructive projectiles from a distance. There's a new mechanic that's been added that will come in to play several game days into each play through. 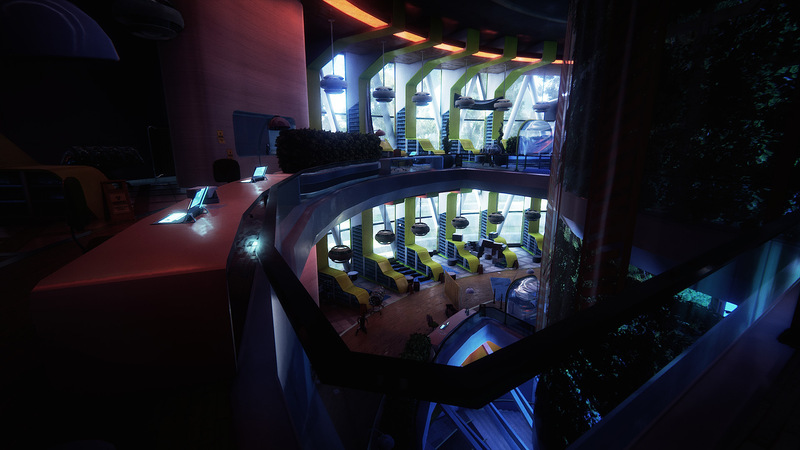 The nanite contamination is beginning to spread throughout Eden and you'll begin to find the Geist characters in new places other than just behind the red wall in Oasis. They might be worth exploring if you have your Hazmat suit handy. NPCs have been more more aggressive across the board and numerous tweaks have been made to help make combat feel more responsive, faster and fun. As always, check out the full list of changes below! We hope you love this update and we can't wait for your feedback on it. Have fun exploring the new areas and trying to master the new enemies and combat. • New Geist area outside Oasis. • New Geist growths that spread throughout Eden. • Afflicted can now play dead. • You can now press the 'IVG' button (default 'R') to pick up all from a container. • New Blood FX and sounds. • New Hazmat suit armor. • Added death effect for Observer. • Melee weapons are now more responsive. • Weapons are now more common. • Weapons have been made weaker by default. • Equipment now have randomized durability when spawned. • Upgrade core drop rate has been increased. • Equipemnt can now be found in the world with some upgrade nodes already in them, be sure to check equipment that you pick up, it might be better than what you have now. • Javelin has increased rate of fire. • Javelin has faster draw back time. • NPCs now pull allies from a much further distance when in combat. • Ranged NPC projectiles have been sped up and made easier to see. • Halved resonance damage from 10 to 5. • Map icons have been made smaller so they don't block the map as much. • NPC combat has been tweaked, they are far more aggressive now. • Enemies could attack themselves to death after getting blocked by a shield. • Fixed some issues with aror set bonuses. • NPCs should now despawn correctly when the world resets in a permadeath game. • Fixed a bug where you weapon could stay in its overcharged state. • Added some extra save/load protection on the player corpses. • NPCs would misjudge distance to the Observer because it's a flying character and sometimes would run in to it forever without attacking. • Stage 1 and Stage 2 NPCs were giving out the wrong amount of XP. • NPC inventories were not clearing on respawn. • Tweaked the values on some prefab pools to help lower memory. Happy Tuesday! We've got some pre-holiday bugfixes ready for you to enjoy, all to do with the recent Geist update, along with a deadly new trap to craft. The most egregious bug that is resolved in this patch pertains to buliding not being allowed in certain areas - build away to your heart's content! Check out the full list below, and enjoy! 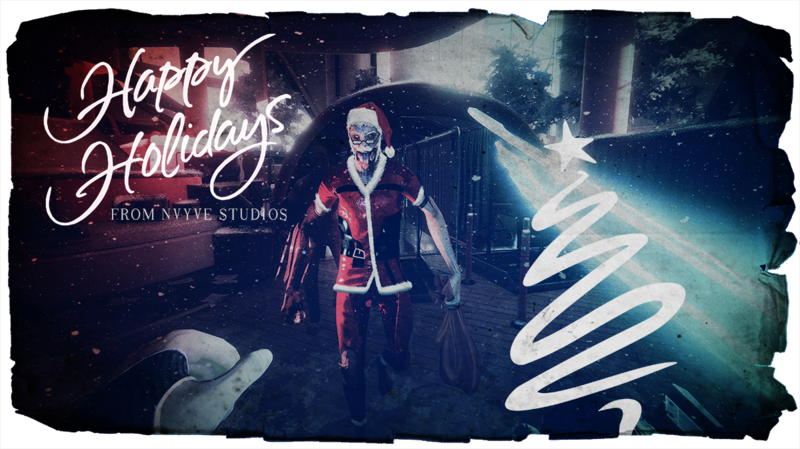 From the NVYVE Studios team, have happy holidays and an excellent New Year!